What a difference! Now posting pictures is fun. With photobucket, it was like going to the dentist for one picture. got a little crazy with the flapper wheel and the bed liner. Needs a bath now. I'll check out them today. Spending the day in the garage cleaning reorganizing. I have a bit of OCD, and have to have a clean garage before I start a project. 500 miles of daily driving on the Cav-Fab Steering....i am impressed. no bumpsteer, no shimmy. A little loose, but i am attributing that to the lack of a stiff stabilizer. 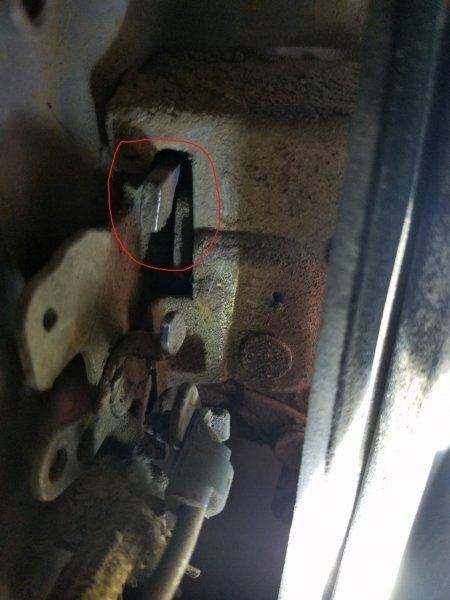 Loose as in a dead spot? Loose as in not as firm or tight. Less effort to turn the wheel. Converted to an open cooling system from a 97 xj Yesterday. my Renix pressure bottle was leaking, and that fancy, spendy csf all aluminum radiator was leaking like a sieve. I just went to napa and got their direct swap for a 97 xj. Everything swapped right in as it should. Some 5/8's, 3/4, and 5/16's hose, 2 5/8 to 3/4 adapters and a overflow bottle and a stant 16lb cap. 2 gallons of DI water and 2 gallons of Concentrated coolant. 90 minutes tops and she was running drip free. Total cost was about $150 before my discount i believe. I already had the 97+ thermostat housing, so i did not need to get that. the Napa radiator contains the port for the renix temp switch. If you can change your coolant...you can do the swap. its pretty simple. Picked up my cav-fab crossmember this weekend. still waiting on the stupid links to show up. i can't do squat until i get them. 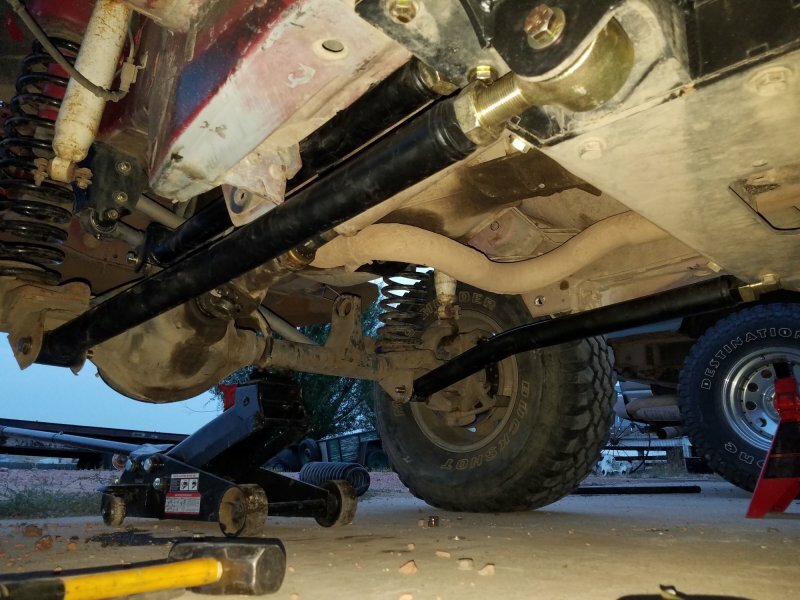 putting the crossmember on now, renders the jeep useless untill the links show up. Are you going to weld it on or rely on the 3 bolts per side? Will post pictures tomorrow when I'm on a computer. I really hate uploading pics to this site. 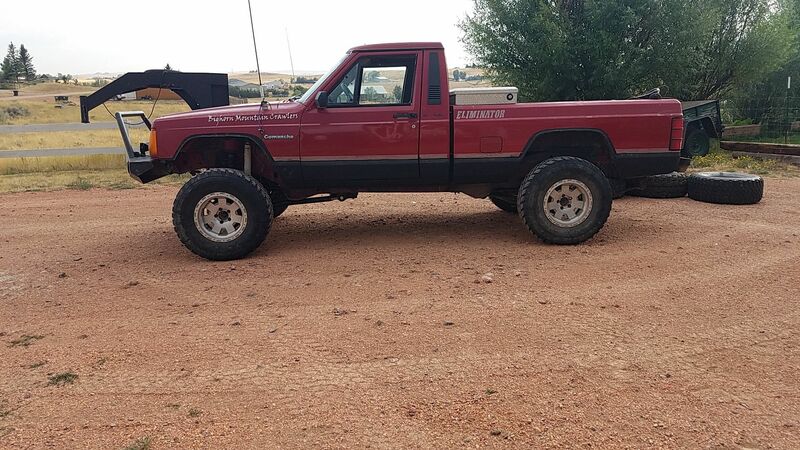 Check my cherokee forum post in the meantime. Picked up this project trailer, thinking overland style build. i have a set of 32's to go on it once i find rims. Time for fine tuning and i need to trim off the short arm brackets and add the frame side tie-ins. After that, the rear needs to come up about 2 inches. as it sites now, it has the "socal squat" I want to stay spring under, so i am debating between explorer leafs or a set of hell creek 4.5's vs rustys 4.5's. 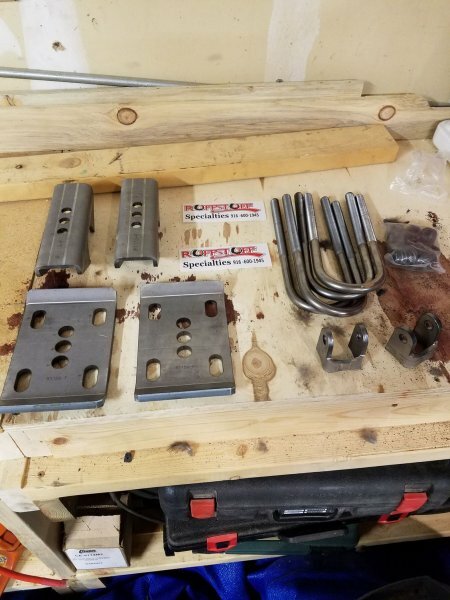 I found these: https://www.yotamasters.com/shop/suspension/trail-gear-suspension/rear-suspension-parts/total-chaos-spring-u-bolt-plates/ to replace the low hanging stock plates. just need to weld some shock hangars on the axle. Well i spent the last 2 days with a sawzall trimming off the stock LCA brackets so that i could actually drive it. Was finally able to drive it to work this morning under its own weight. All i can say is wow, the ride quality is amazing. it feels much more stable on the road. I still have to install the side tie-ins, but i am debating just welding them on. 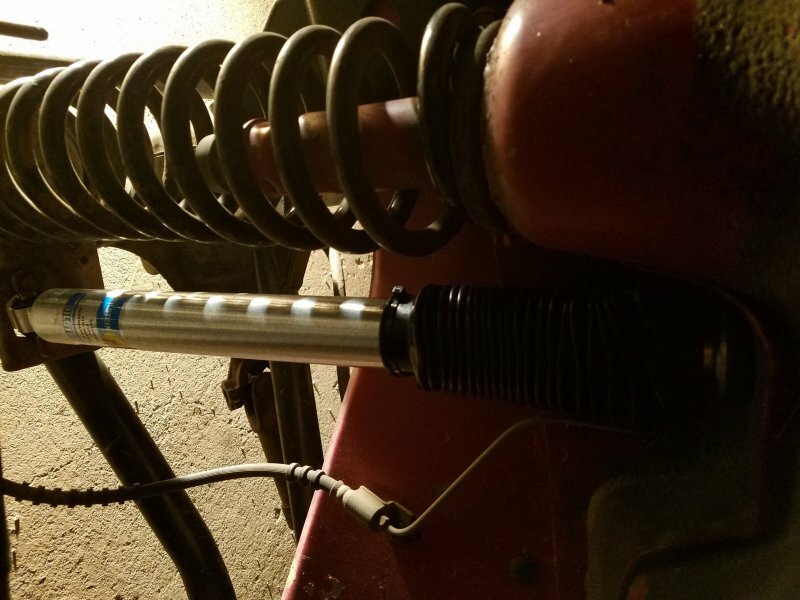 As it sits now, i just have to install longer brake lines and shocks, and she will be ready to go. Pics tonight. Well another development, i got in to drive it the other day, and my driver door jsut stuck shut. The latch assembly must have wore out from the inside. So i spent 3 days trying to open it, when i finally found this tip........On the backside of the latch assembly, there is a tab you have to push up....it manually dis enages the striker latch...... Door saved. now i jsut have to put a new latch in there. How easy was it to fit the CavFab crossmember to the MJ chassis? 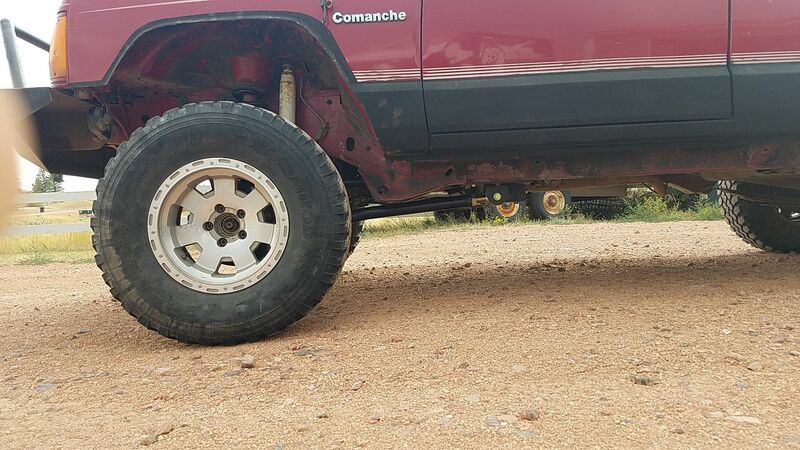 The "sub frame" under the cab is the same as the cherokee. 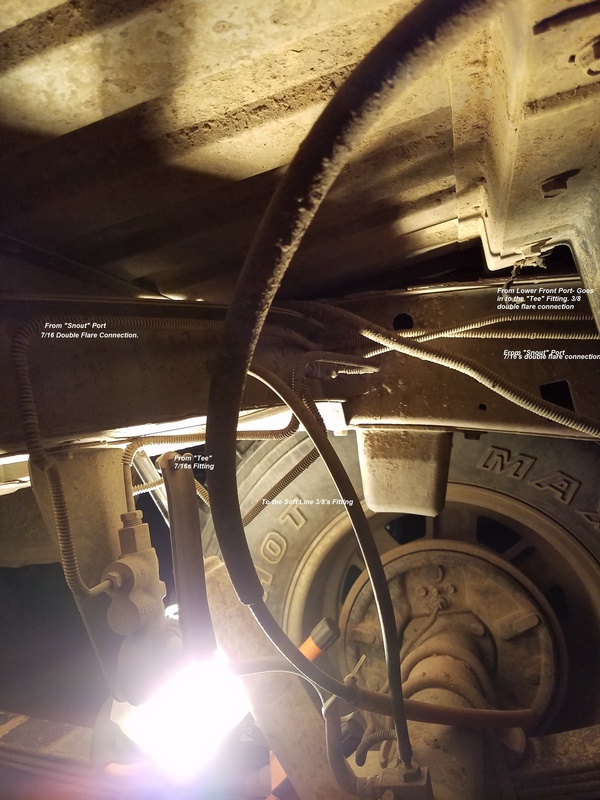 Only difference, is the brake lines and fuel lines are in a different location. it bolted right up. i just had to move some of the brake lines and secure them up out of the way. all in all, maybe an hour install for the crossmember. i still have to install the side tie-in brackets, but that won't take long. just a matter of drilling a couple holes. i did forget about those. well, the side tie-in does hit the cab mount, but it can be trimmed in about 2 minutes per side with a cut off wheel. i havent installed my tie-ins yet, but on the other MJ I did, it wasnt much of an issue. quick slice and dice and the tie-ins fit. Installed some 11.5" travel bilsteins last night. Should be more than enough for the 3 link. Once i get the 35's on it, ill measure for bumpstops. it appears ive got about 7" of uptravel as it sits. Also traced the rear brake line spaghetti bowl in prep to delete the height sensing valve.